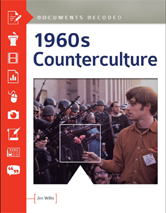 There is no better way to understand the 1960s than to read key speeches and texts from the decade, experiencing firsthand writings that capture a signature sense of passion and conviction. That is exactly the approach taken by this book as it analyzes major protest movements of the era, including the Vietnam War protests, the Civil Rights Movement, Women's Lib, the hippie movement, and the nascent GLBQT movement. Organized by movement, the work presents speeches, testimonies, and other important documents side-by-side with accessibly written, expert commentary.